In the Protecting Access to Medicare Act (PAMA) of 2014, Congress mandated that ordering providers consult appropriate use criteria (AUC) through electronic clinical decision support (CDS) mechanisms when ordering outpatient advanced imaging exams for Medicare patients. Imaging practices are running out of time to incorporate AUC into clinical workflows before the Protecting Access to Medicare Act (PAMA) requires it in 2018. The CDS mandate has a deadline set for January 1, 2018 for referring providers to begin consulting CDS when placing advanced outpatient imaging orders, and for furnishing providers to submit documentation of CDS use on Medicare claims for reimbursement. The CMS also plans to designate certain referrers as outliers. Outlier status for ordering providers will be determined by adherence to eight priority clinical areas. These areas are diagnostic groups with the highest associated advanced imaging volumes. The finalized priority clinical areas include coronary artery disease, suspected pulmonary embolism, headache, hip pain, low back pain, shoulder pain, cancer of the lung, and cervical or neck pain. These eight areas cover about 40% of all Medicare imaging volumes. Adherence to CDS in these areas will be used to identify outliers beginning in 2020. Up to five percent of providers will be identified as outliers and will be required to obtain preauthorization for Medicare patients. For imaging leaders and radiologists, its best to ensure the AUC your organization chooses to implement through a CDS mechanism encompasses all eight of these areas. You also need to ensure that the CDS mechanism you choose can provide the analytics you will need to calculate outliers yourself. CMS will release the approved list of CDS vendors in June 2017, and invites vendors to apply each year. Although the CDS mandate is fast approaching, the American College of Radiology (ACR)’s Radiology Support, Communication and Alignment (R-SCAN) network both can prepare providers for the upcoming federal mandate while improving AUC for the specialty as a whole. R-SCAN is funded by a CMS Transforming Clinical Practice Initiative grant that was awarded to the ACR. The R-SCAN network works to give practices access to web-based tools and CDS systems in an attempt to optimize imaging. After collecting evidence-based data, the R-SCAN team will generate a report of appropriate versus inappropriate exams ordered, before holding educational activities with clinicians and staff. 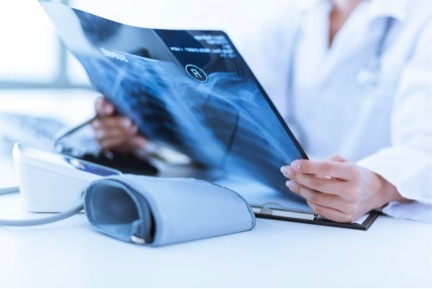 R-SCAN’s use of AUC-based CDS promotes communication between radiologists and their referring providers and helps make radiologists a resource to health system administrators, now that medicine is evolving from volume to value-based care. More than 130 practices nationwide are participants, representing a pool of more than 4,000 radiologists to draw significant data from. Practices can also earn Improvement Activity credits, counting towards the Quality Payment Program, which is administered by CMS. Imaging is affected by almost every health system change. Imaging leaders and radiologists should play a key role in implementing CDS, educating ordering providers, and ensuring the program is successful. In order to do that, you need to be caught up on all the latest healthcare trends. If you would like more healthcare industry news, read our blog or sign up for our monthly e-Newsletter!